The A35 is a high traction compound that will work well on tracks that lack grip, such as colder track conditions, slick or green track surfaces. The A35 will grip quickly with little heat and will be consistent throughout long green lap runs. The A35 is more appropriate on indoor track surfaces that are tacky and high grip from the buildup of rubber in the corners. The 31.0/4.5-5 will measure approximately 31” on a 5x5 wheel at 8 psi. Compounds available in this size include D10, D20A, RD40, & A35. Please refer to the ‘Dirt QM’ page for dirt compound applications. 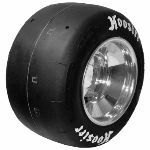 The 32.0/4.5-5 will measure approximately 32” on a 5x5 wheel at 8 psi. Compounds available in this size include D10, D20A, RD40, & A35. Please refer to the ‘Dirt QM’ page for dirt compound applications. 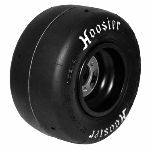 The 4.5/10.0-5 will measure approximately 31 ¾ on a 5x5 wheel at 8 psi. This tire has a stiffer construction that provides more grip for higher powered classes that utilize a locked LR hub on their car. The compounds available include R60A (medium), and R60 (hard). The R60A is designed to work in the same conditions as the A35 compound. The R60 is designed to keep the car free on high heat, high traction surfaces. 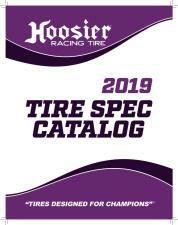 For further information, please visit the ‘Sprint/RR Kart’ page. 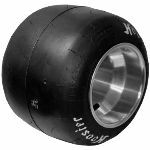 Recommended starting pressure for outdoor asphalt tracks is between 9-11 psi on the left side and 11-13 on the right side. Pressures can be higher or lower depending on track condition. Indoor pressures range from 5-7 psi on the left and 7-10 psi on the right side. It is recommended that you "scrub" in your race tires. This procedure involves warming your tires up over a couple of laps, increasing your lap times over the next couple of laps until you reach your fast time. This should be followed by a cool down lap. The tires should be removed and allowed to cool naturally for 24 hours. This can also be done during a qualifying session. 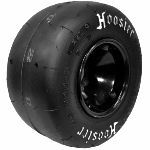 Every Hoosier race tire has a four character serial code embossed into ONE sidewall of the tire (example: J7B9). This is not referring to the tire's bar code. 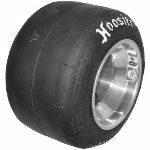 To be consistent when mounting from set to set, the tire should be placed on the rim so that the serial code faces towards the infield of the track. Before seating the beads, we recommend placing the tire inside a mounting ring and adjusting the ring to fit snug around the tire. We highly advise using the mounting ring as we believe not using it can over stretch the carcass leading to inconsistent sizing. Once the tire has seated onto the rim, it is important the tire be initially stretched to about 10 psi over cold starting pressure to get the tire to its proper "profile". The tire should be set at this pressure for a few minutes and then dropped to the desired race pressure. Just be consistent in this procedure to get repeatable results. 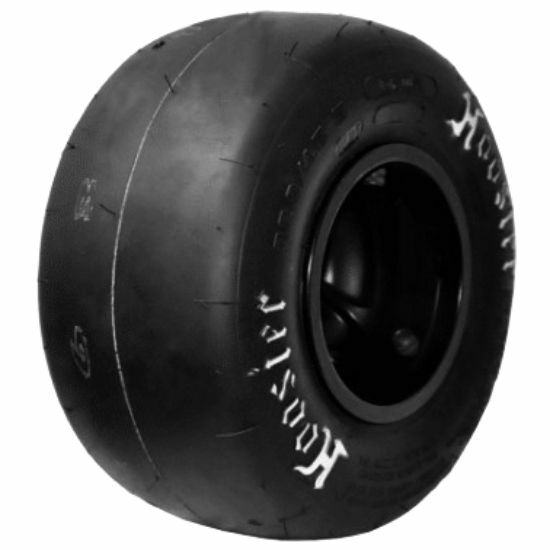 The asphalt/dirt quarter midget tires can be flipped or reversed on the wheel to provide even wear. The A35 NY1 tires have directional arrows and should be mounted so that the tire travels in the direction of the arrow. Tires can be flipped after running to provide even wear.